BYPASS noise maps believed to have been left behind after a high level meeting with politicians and RMS officials have been leaked to the media. 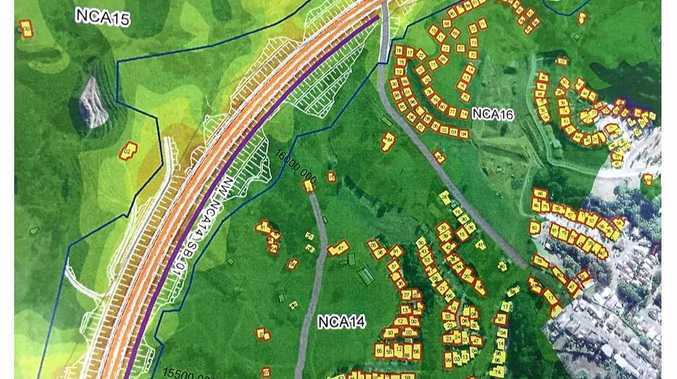 The maps reportedly show the extent of the noise problems related to the Coffs Harbour Bypass with cuttings, instead of tunnels. Hundreds of properties are marked in red, which means they will endure noise levels above the RMS Noise Criteria Guidelines. Coffs Harbour City Councillor Keith Rhoades has seen them and describes the source as impeccable. "In my mind I'm more than convinced they are legitimate," Cr Rhoades said. But Roads Minister Melinda Pavey says they are not official maps. "If they were presented to us they would have been watermarked so to suggest that we've seen them is not true. At no time were noise maps presented or discussed. The maps are irrelevant as they refer to a preliminary design that is not proceeding as announced in January," a representative from Ms Pavey's office said. 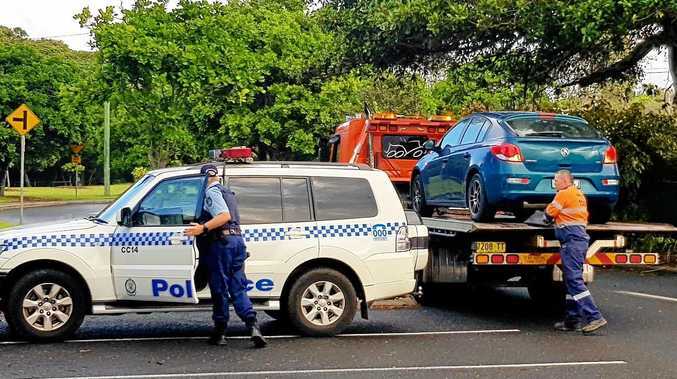 The Advocate has been told the maps were left behind after a meeting in January of the Minister for Roads, Melinda Pavey; Coffs Harbour state Nationals Member, Andrew Fraser; Federal Nationals Member, Luke Hartsuyker; and various officials from the RMS. The RMS says the maps are misleading. "They are early drafts based off the old concept design. Following extensive community feedback late last year, a decision was made to make design improvements. It is important the RMS finalise the updated design, so noise modelling can also be finalised and released to the public with the Environmental Impact Statement (EIS) later this year," an RMS spokesperson said. Members of the Coffs Bypass Action Group have seen the maps and believe they're genuine. "It's disgraceful. Given these maps were created in August 2018 - before the announcement by the Nationals for cuttings - how could they even suggest cuttings knowing the effects they would have on Coffs Harbour?" action group member Cheryl Cooper said. August 2018 is around the time the community began to question the government's commitment to tunnels and by September these fears were realised when Minister Pavey announced that tunnels, long considered a done deal, would be replaced by cuttings and the euphemistically termed 'tunnel type arrangements'. Despite the announcement in January that tunnels would be reinstated both the action group and Coffs Harbour City Council have been frustrated in their attempts to get any firm commitments from Minister Pavey. "The simple fact is the Minister has never come out and actually said 'yes I support tunnels' but instead she's gone into hiding," Cr Rhoades said. He raised the matter of noise impacts as a matter of an urgent nature at last week's council meeting saying he'd been made aware of an August 2018 report, which identified up to 900 properties would be adversely affected by noise from the bypass. His motion, which was unanimously supported, calls on Minister Pavey to release details of affected properties identified in the Noise Contours - Build report dated August 2018 immediately. "Should the Minister or her representative fail to answer the above request by close of business on Wednesday, March 20, 2019, council can only assume the drawings and maps exist and have a potential impact on in excess of 900 properties," the motion read.